It’s more the result of determination than doing something special technically. He has the attributes of a fighter and of a quality, talent player. That’s what you want to see in every football player. More than anyone he tried to win this game. Between testing the keeper in the first half, annoying defenders in the second and ultimately getting his 9th and 10th goals of his Arsenal career, he just never stopped. I think it’s unfair to accuse other players of not trying, that’s a lazy piece of analysis, but what it boils down to is that Alexis tries harder. There’s something in him that craves victory and he plays like it’s the most important thing in the world. That hunger has to be fed and it’s reflected in his performances. The goal came in the 70th minute and that it was just a few minutes after Mikel Arteta had been taken off was no coincidence. I don’t mean this as a slight on the captain – in fact I thought Flamini did well to avoid the manager’s hook after a pretty indifferent performance – but the introduction of Ramsey meant we were more ambitious as a team and that resulted in us winning the game. Some of it, of course, was down to Burnley tiring after a dogged defensive display but even with our current lack of form/confidence, playing Arteta and Flamini together can only be described as ultra-cautious. That said, perhaps there was some method to the madness. We have been a side that’s lacked something in recent weeks, and maybe using a system with both of them in it was designed to bring about another clean sheet. We played a 4-4-2, with Welbeck and Alexis up top, so I suspect the manager wanted to be a little more conservative in midfield because of that. When he changed things, things changed, so complaints about the cautiousness are offset by the impact his substitutions made. Having grabbed an assist for the first, Calum Chambers got his first Arsenal goal moments later, taking advantage of some discomfort from a corner of all things, sweeping the ball home from close range. While we can all have a legitimate gripe about the manager not buying enough defenders in the summer, I think we have to give some credit to him for buying a good one in Chambers. The former Southampton man had another assured performance at right back, and while we’re on the subject, Nacho Monreal did well at centre-half too. I know it was against the bottom side, and we’ll face much stiffer opposition in the weeks to come, but the Spaniard looks more comfortable there after a few games. It’s obviously not ideal still but all you can ask is that he does his job in an uncomplicated way and he did that yesterday. Outside him Kieran Gibbs had another good game and his consistency is a real asset. He got the assist for the third goal, finished with confidence by Alexis, and I really hope he can stay fit and avoid the niggling injuries because he’s got tremendous potential (which I hope is ignored by England). It could have been more convincing but for their goalkeeper, Tom Heaton who was absolutely outstanding, and the post – both of whom denied substitute Lukas Podolski a goal. The volley from Theo Walcott’s cross was an absolute thumper and the German showed he’s got the instinct in the final third which I’m sure will prove important over the coming weeks. Thankfully the two goal lead allowed us to give Theo his first appearance since doing his cruciate in January and that he had a genuine impact, with the cross for Podolski and a shot that was well saved, augers well as he’s likely to be eased back into first team action over the coming weeks. The idea of him linking up with Welbeck and Alexis in a speedy forward trio is quite enticing, to say the least. Overall I think it was a very satisfying win. Recently at home we haven’t got the results we wanted but for the confidence of the team it’s also important to win without conceding a goal. On the one hand, you can certainly write this off as a routine win over much inferior opposition, but on the other you have to take the positives from it. Another win will boost confidence, as will the clean sheet, so if you have issues with our form and performances at the moment – which most people do, I guess – then you have to look at this as another little step in the right direction. We had to win, we won. We had to restore a little more belief, especially at the back, and we did that too. 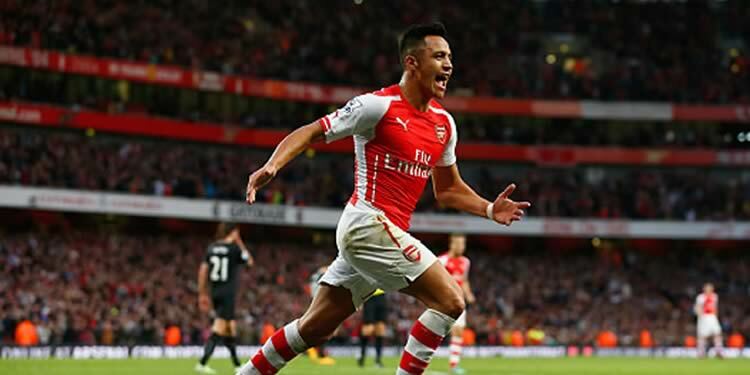 We also got another outstanding performance from Alexis who is turning out to be one of the manager’s best signings. Thanks Barcelona for letting him go, you absolute nutters. Now we turn our attention to Europe and, hopefully, an easier time of it against Anderlecht that the last occasion.